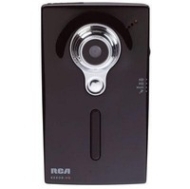 alaTest has collected and analyzed 7 reviews of RCA EZ209HD. The average rating for this product is 2.6/5, compared to an average rating of 4.0/5 for other Camcorders for all reviews. Reviewers are impressed by the usability and portability, whereas many are critical about the image quality. We analyzed user and expert ratings, product age and more factors. Compared to other Camcorders the RCA EZ209HD is awarded an overall alaScore™ of 79/100 = Good quality. I have owned the RCA Small Wonder for about 9 months now, and I will say that I am pleased with it only in that I got an excellent deal on it at a clearance price. Had I paid full price for this item, I would not be satisfied.